The Charleston condo lifestyle allows owners to enjoy the luxury of southern charm and sophistication with the convenience of urban utilities, a coastal climate, and minimal maintenance. Whether a primary residence or a vacation home, the condo culture permits residents to live a free spirit type of lifestyle. Waterfront condos, golfview condos, and downtown condos are readily available across the metropolitan Charleston region and are quickly becoming a popular real estate option for young adults, retirees, and second homeowners. On Daniel Island, a quaint town often referred to as modern Mayberry, the condos at Fairbanks Oak Alley present panoramic views of the Wando River. These luxury three bedroom units range in price from $960,000 to more than one million dollars and come with a personal boat slip and private dock. 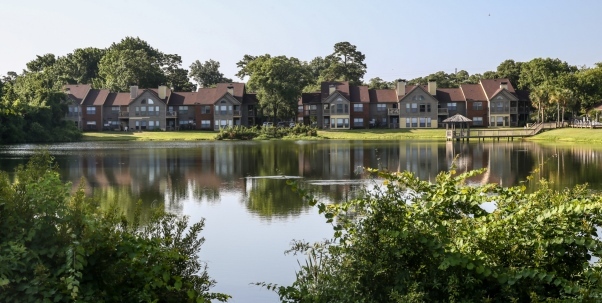 Other townhomes and condos on Daniel Island include Townsend Place, Pier View condos, Center Park townhomes, and downtown condo units on Bucksley Lane. In Mt. Pleasant, the opulent Tides Condominiums is ideally situated along the Cooper River. Boasting breath-taking views of downtown Charleston, the Ravenel Bridge, tidal marsh, and Morris Island Lighthouse, the luxurious units range in price from $1.3 million to more than $2 million. Located at the foot of the Ravenel Bridge, the Renaissance on Charleston Harbor Condominiums is another high-end complex that features a marble grand entry floor, concierge counsel, library, Italian designed swimming pool, and a River Walk promenade. Renaissance condos range in price from $650,000 to more than $1.3 million. More affordable condo options can be found in the communities of Park West, Long Grove, Bay Club Sea Lofts, and South Hampton Pointe. These communities offer one, two and three bedroom units for less than $200,000. Oceanfront condos at Isle of Palms are attractive as vacation homes and rentals. With only a few steps, one can be building sandcastles in the white sand, surfing the waves, or fishing from the Isle of Palms pier. Residents do not have to go far for southern fare with Coconut Joe’s Grill, the Boathouse, Acme Lowcountry Kitchen, Banana Cabana, and Sea Biscuit all located right on Isle of Palms. 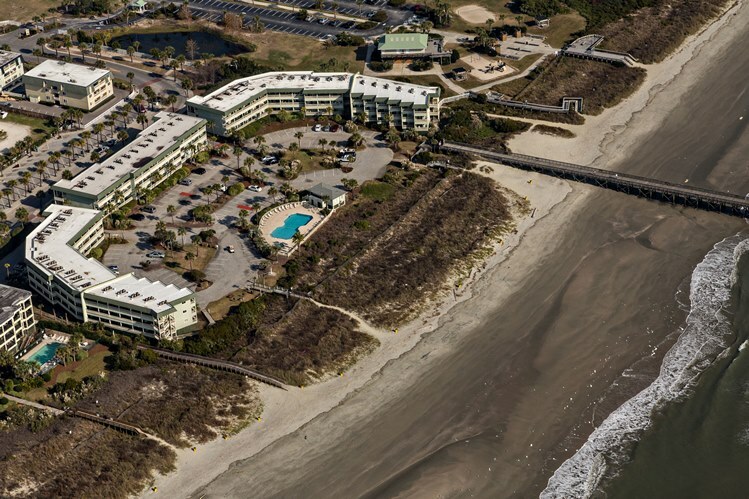 For those seeking a gated condo complex, Wild Dunes Golf Resort, also located on Isle of Palms, offers oceanfront units, 24-hour security, and numerous amenities including private beach access, swimming pools, tennis courts, golf courses, restaurants, and more. Folly Beach condos for sale, including those in Pier Pointe Villas, Turtle Bay, and Charleston Oceanfront Villas showcase views of the Atlantic Ocean and are extremely popular as second vacation homes, investment real estate, or as rental properties. Perhaps the most appealing condo community for those seeking privacy and seclusion are the condominiums and townhomes on Kiawah Island. Mariner’s Watch, Duneside Villa, and Windswept Villa all present picturesque views of the blue ocean water. Known for its golf club and resort, Kiawah also features numerous golfview condos and townhomes. Kiawah and Seabrook residents guard the true “island” mentality and solidarity, yet appreciate the close proximity to Freshfields, Bohicket Marina, and downtown Charleston. Condos in downtown Charleston put patrons in the midst of a robust restaurant scene, swanky shops, historic landmarks, Broadway worthy theaters, and specialty pubs. At the corner of Laurens and Conrad in Charleston’s French Quarter area is the Anson House condominium complex. The building features personal concierge and doorman service, secure parking, gas fireplaces, marble baths, and wide plank floors. 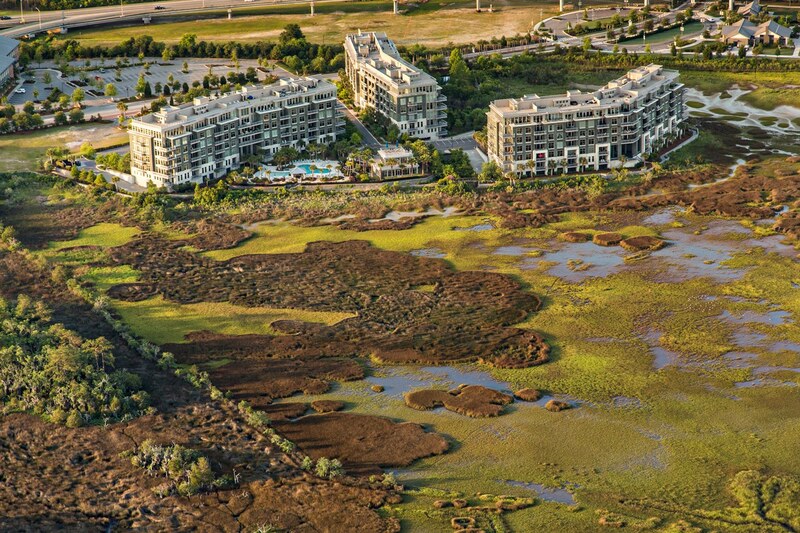 Located along the Ashley River, the Bristol condominiums boast unobtrusive views of the salt water, tidal marsh, and magnificent marina, a full service marina for Bristol residents and their yachts. Other downtown condos with desirable zip codes include Vendue Range in the historic district, Markets Gate in the French Quarter, Sumter House on the Charleston Harbor, 76 Society near King Street, the Baker House on Colonial Lake, Chisolm at South of Broad, Dockside near the Charleston Aquarium, and 33 Calhoun at the edge of Concord Park. Condos in West Ashley, James Island, North Charleston, Summerville, Goose Creek and Moncks Corner are generally more affordable than those in the downtown district of Charleston or south of the Isle of Palms Connector in Mt. Pleasant.